Paige Jondro has wanted to be a teacher since she was in elementary school herself. She has always enjoyed working with children. 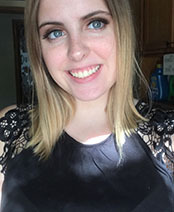 Paige is a student at MCCC, working toward an associates degree in Early Childhood Education, with the goal of continuing on to receive her bachelors in education. Paige Jondro can be reached at pjondro@meadowmontessori.org.